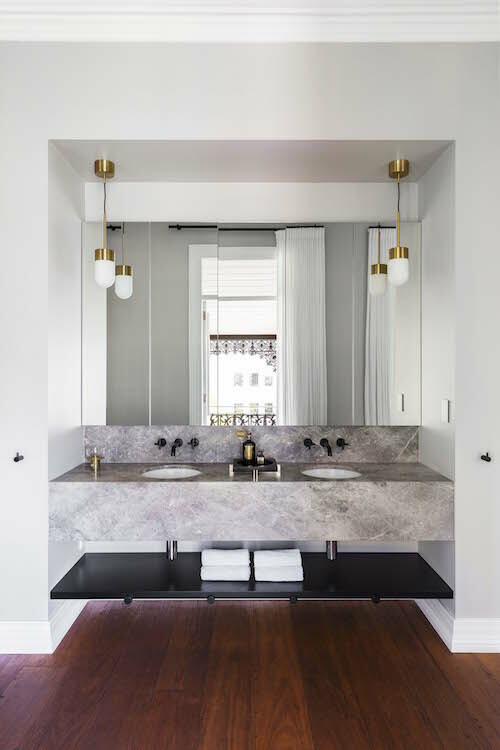 We loved loved loved the recent ‘Two in Twelve’ series by The Stables and one of our favourite features of the whole series was the beautiful bathrooms which both featured timber vanities from Loughlin Furniture - so we obviously just had to share their quality and stunning designs with you. Loughlin Furniture, founded by Rob Loughlin, designs, hand-makes and manufactures individual pieces primarily from solid timber. 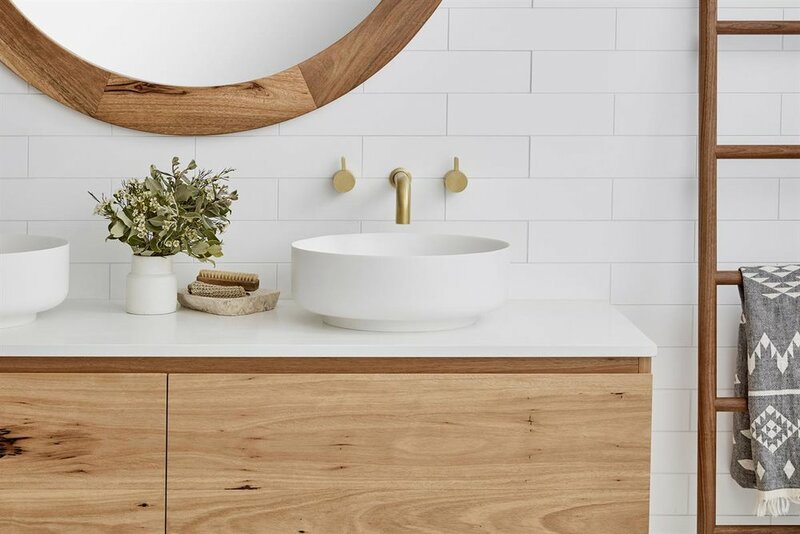 They specialise in custom-designed pieces and also have a range of beautiful vanities, front doors, mirrors, barn doors and more. Rob Loughlin is a true craftsman who has a real passion for working with timber which began 20 years ago when he first started working with slab timber, and the business grew from pop-ups at the Paddington Markets into the in-demand business they are today. Check out some of our favourite designs of theirs below or see the full collection here.